Be me, sitting in the turn lane. 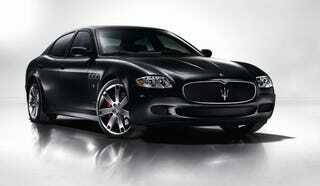 Look over, see guy in a Masarati Quattroporte pull up in the next lane. Make eye contact, roll down window half way. Say nothing. Wait for the light to change. Be rewarded by the exhaust note of the gods. It was an unexpectedly good way to start a Monday.